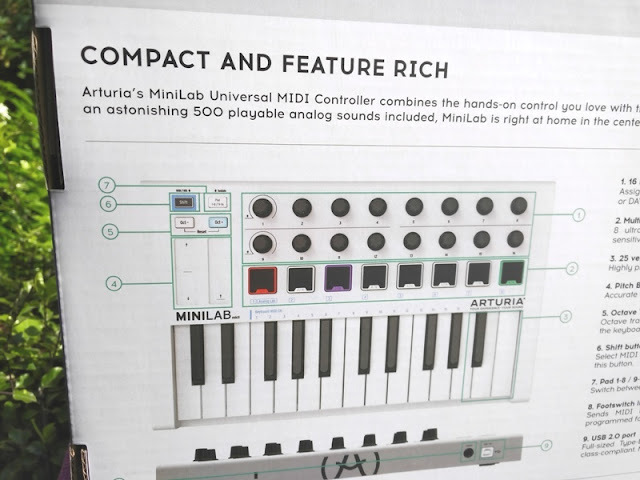 A mini midi controller such as the Minilab MK2 by Arturia is the ﻿perfect solution for a small home studio or a lightweight controller on the go! 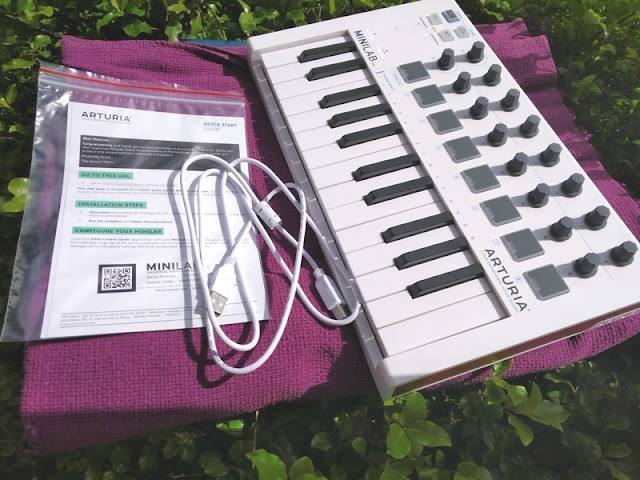 What's neat about the Arturia Minilab MK2 is that you can also use the keyboard standalone for making tracks on the go with an iPad, iPhone or any midi interface that has midi over USB. 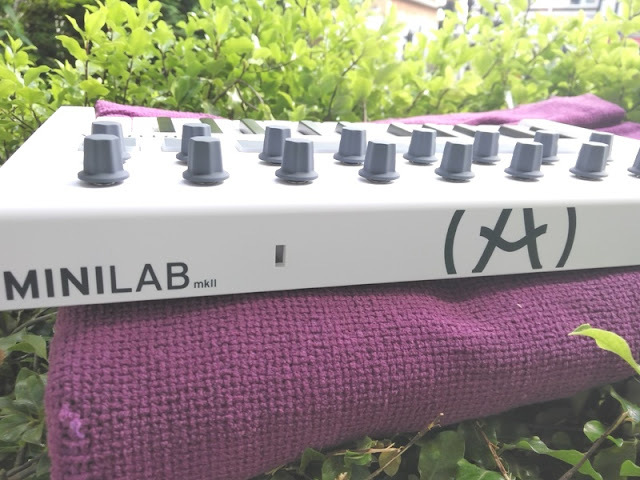 With the Minilab MK2, you get a hardware midi controller) with pads and knobs) and software synthesizer (softsynth) that comes with a decent collection of virtual synths. 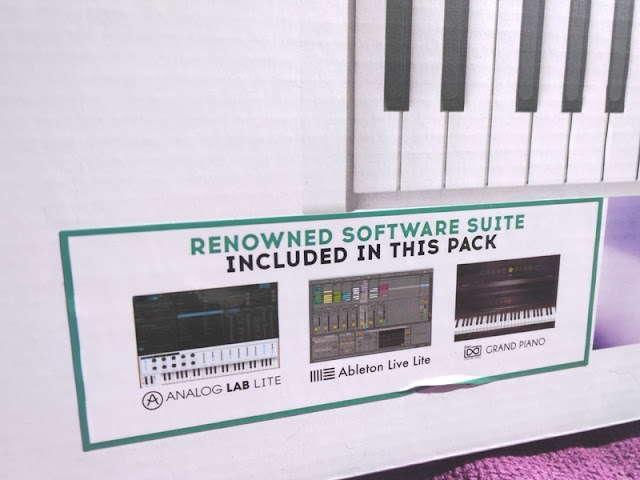 You actually get three software suits which include Analog Lab 2, Grand Piano (from UVI model d) and Ableton Live Lite. 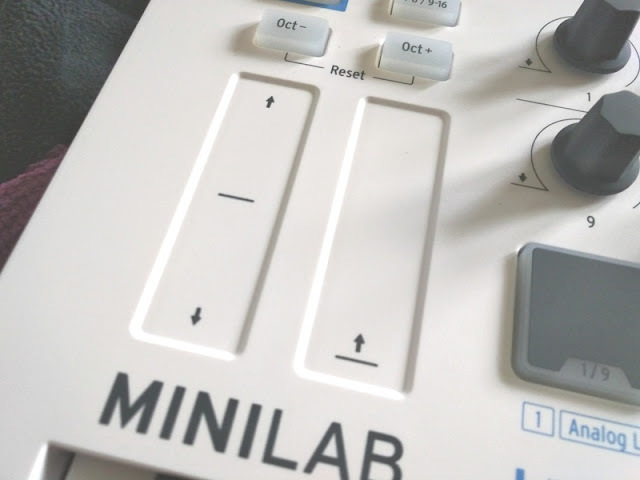 If you are a fan of Virtual Studio Technology (VST) and like to modulate, you're going to love the Minilab MK2 because not only you can set the knobs for the software as a VST in Fl-Studio but you can also assign the knobs on the Arturia Minilab MK2 to knobs in any VST software interface that has MIDI learn or value knobs (soft knobs). 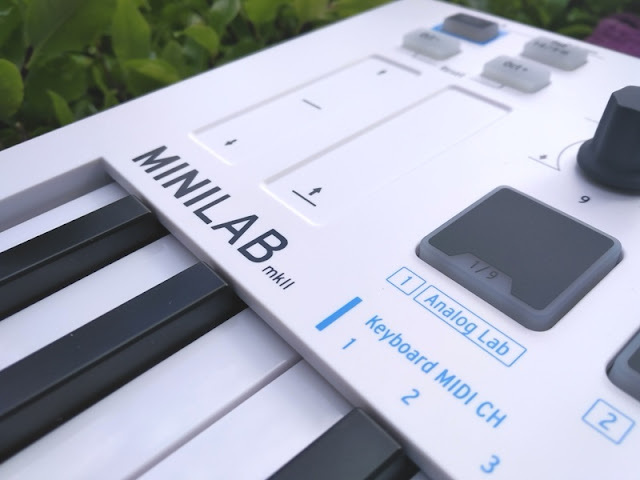 The Arturia Minilab MK2 (the smaller brother of the KeyLab49 full size midi keyboard) is also a nice addition for those who already own a soundcard and/or a digital audio workstation (DAW) device or software application for recording, editing and producing songs or sound effects. 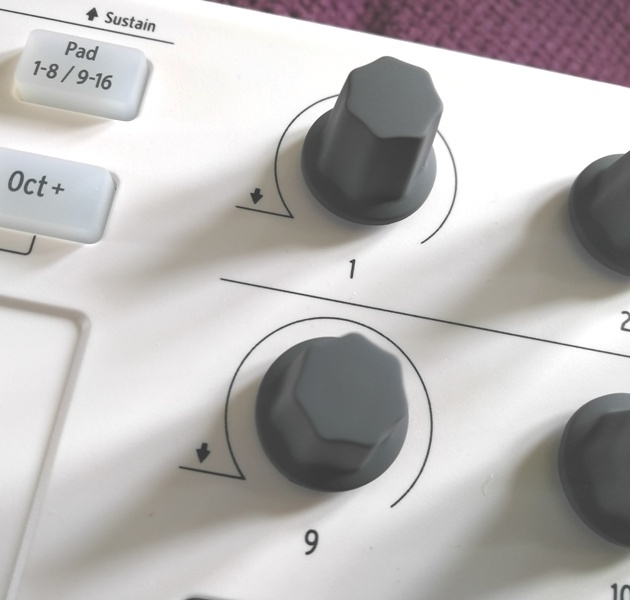 In Ableton Live, the default settings make the pads on the Arturia Minilab MK2 controller control recordings and clips. 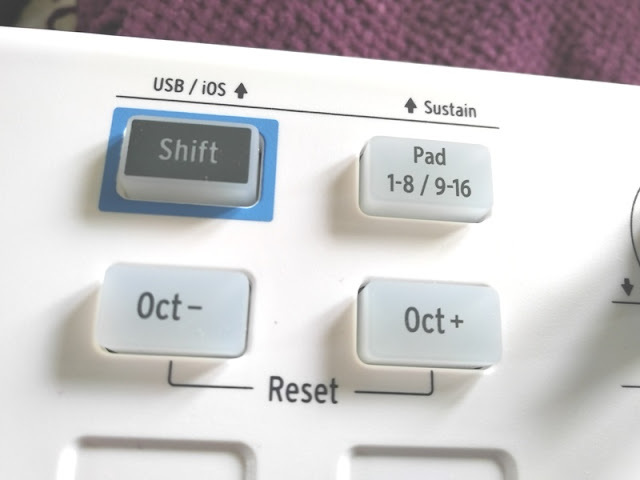 If you want to make the pads play keys on the keyboard, you have to take it out of Live mode and adjust the pads to whatever you want with the MIDI app. 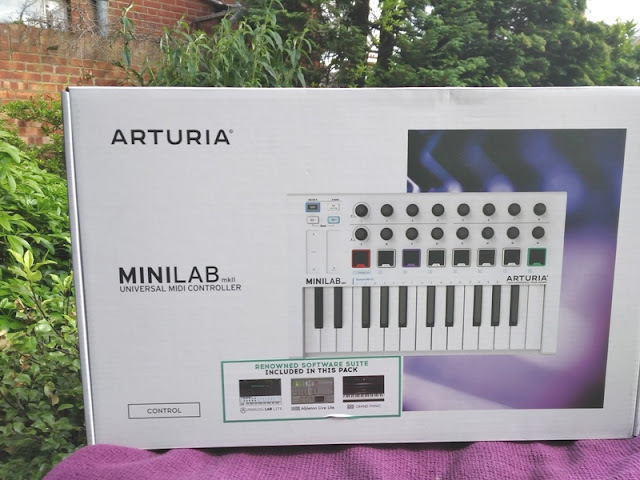 The Arturia Minilab MK2 is really a neat package as not only you get a midi keyboard and sound collection but also three software suits. 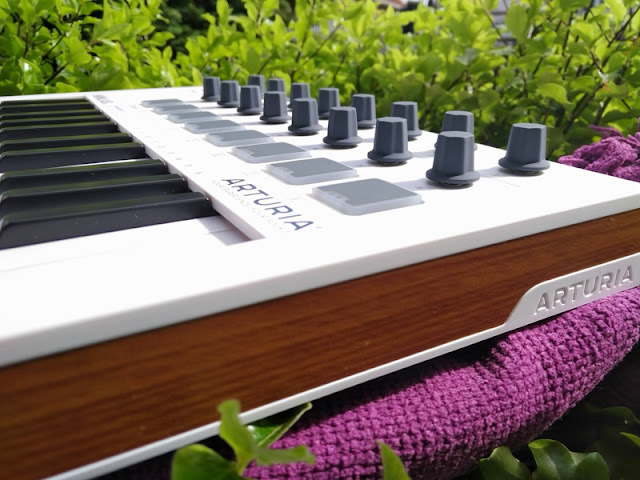 Analog Lab Lite itself has 500 presets but you can upgrade it through Arturia for the full version (Analog Lab 2) which comes with 5000 sound presets. 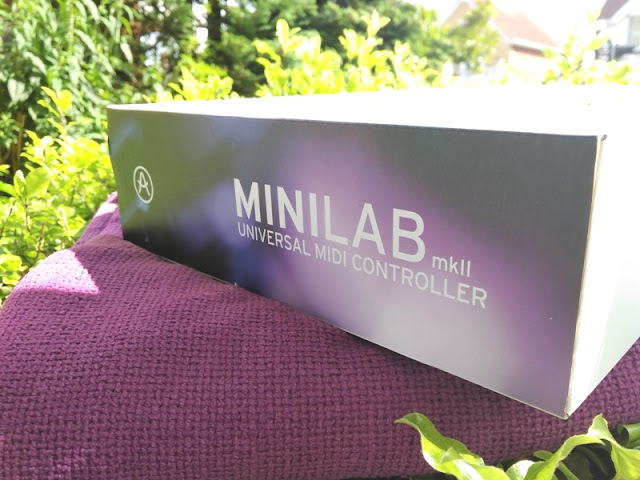 The Minilab MK2 universal midi controller is essentially a 25-key midi controller with a velocity sensitive key bed. 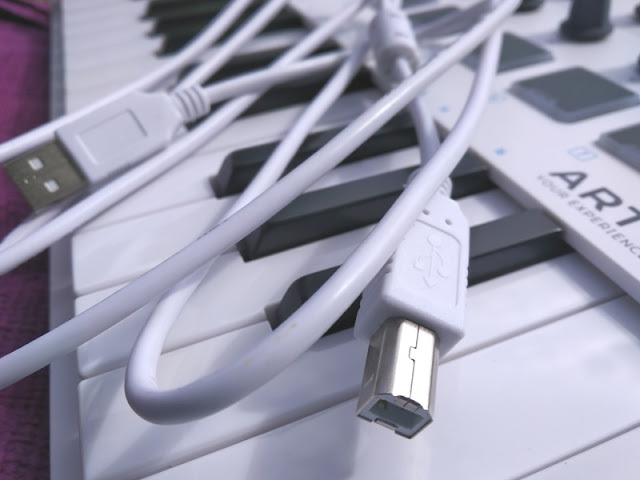 The key themselves are slimline and larger than mini keys so the keys have a lot more playable travel velocity response. 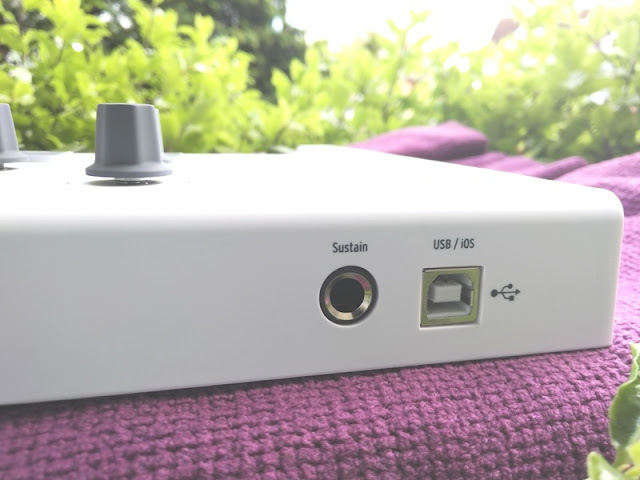 On the top half of the keyboard, you get two clickable browse knobs (1 and 9). 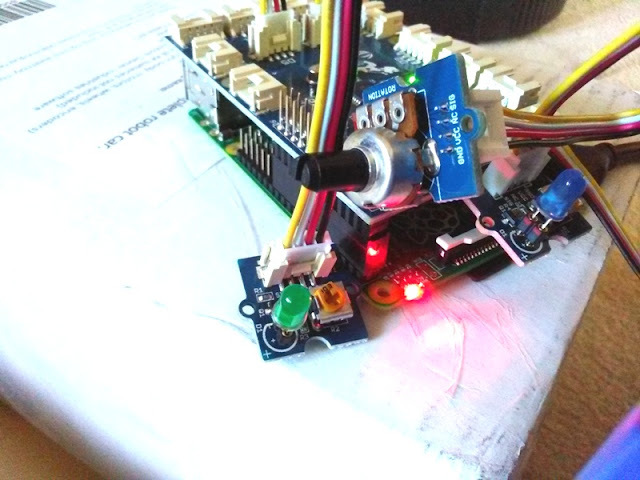 The knob encoder number 1 is used to browse through the software list of preset sounds, while the knob encoder 9 is used to go through the tags. 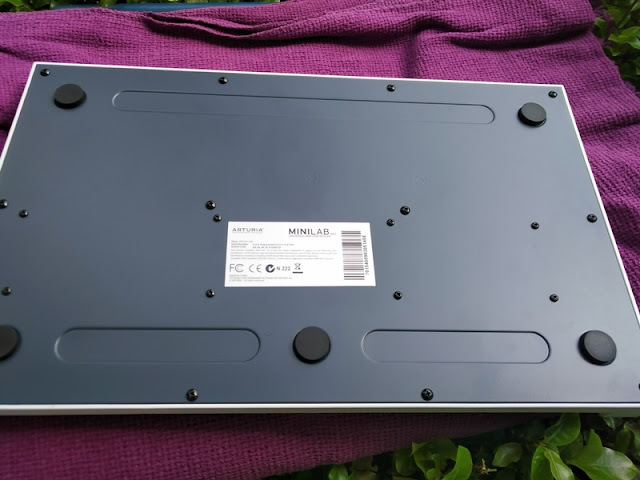 As mentioned earlier, the velocity sensitivity of the MiniLab MK2 keys is pretty quick and the keys themselves have a nice weight and springiness to them. 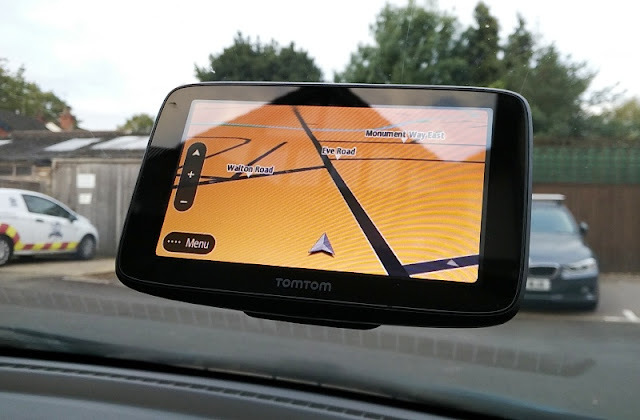 The knobs have a nice resistance and are used to adjust the sound presets. 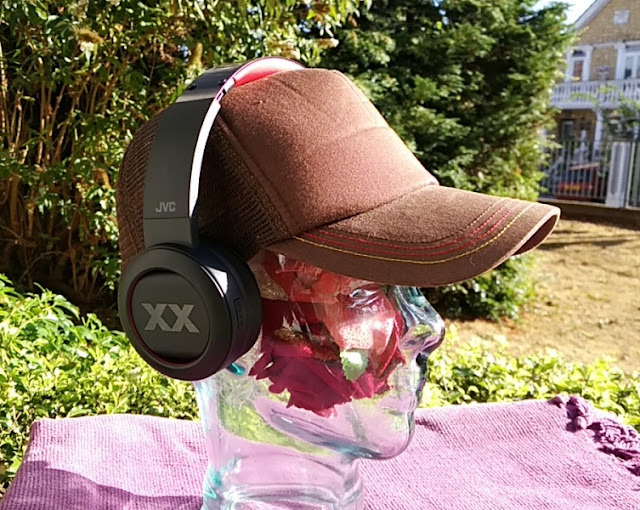 The pads react quickly and positively to the touch. 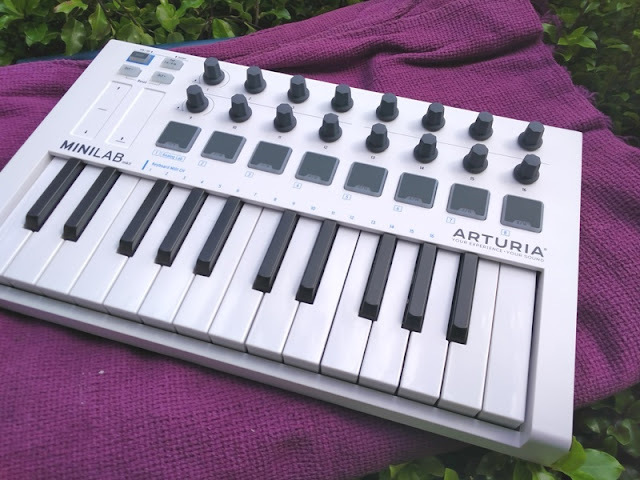 Best of all, you can edit the pads on the Arturia Minilab MK2 using the midi software and change the LED color of the pads to do different things to help you memorize your setup. 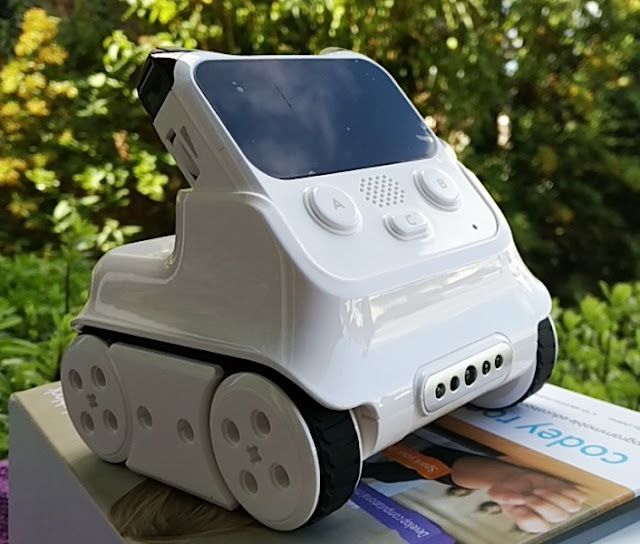 As mentioned earlier, the MiniLab MK2 comes with both hardware and software. The screenshot you see below is that of Analog Lab software where the keyboard sound collection is stored. 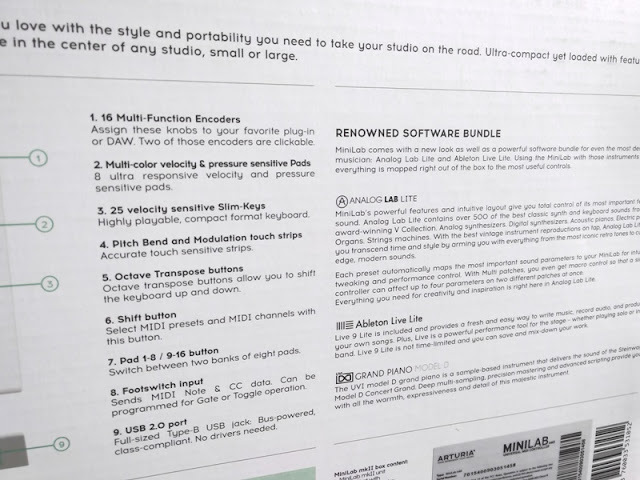 The Analog Lab software also allows you to tweak and edit your own sounds. 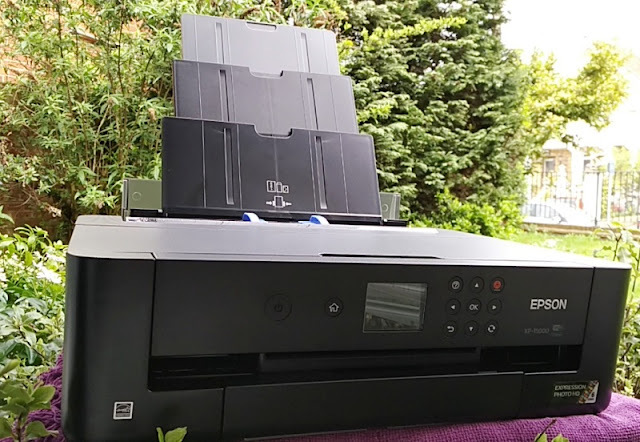 Using Analog Lab is pretty easy. 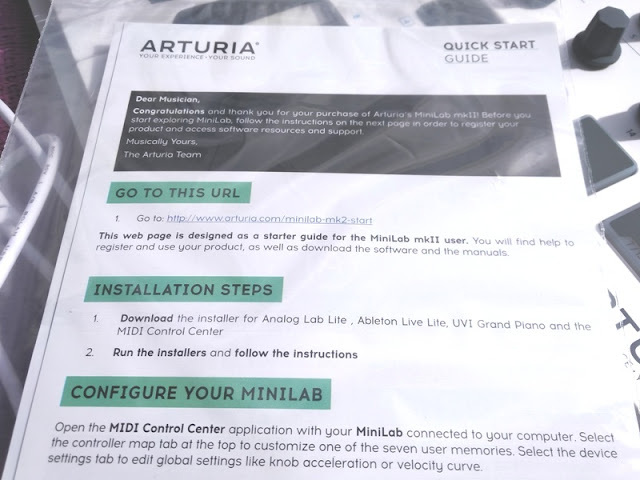 Simply download the software from Arturia website, follow the steps and enter the serial and unlock code found in the quick start guide that comes in the box. 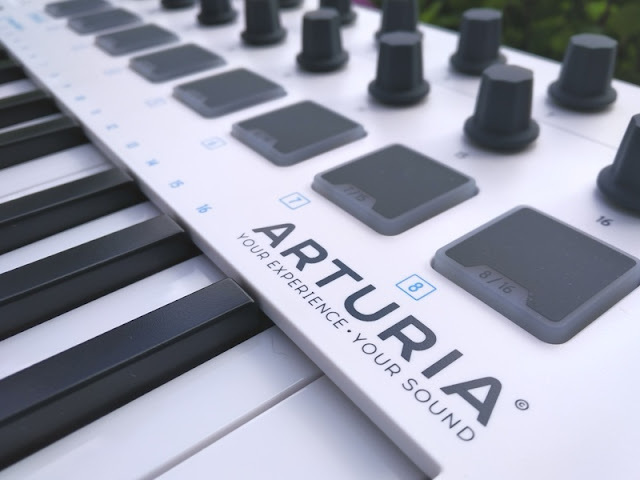 Arturia already gives you some playlists but you can create a new playlist and drop sound presets into it. On the results list of the presets, you can also arrange the preset sounds by type, bank, instruments, etc. 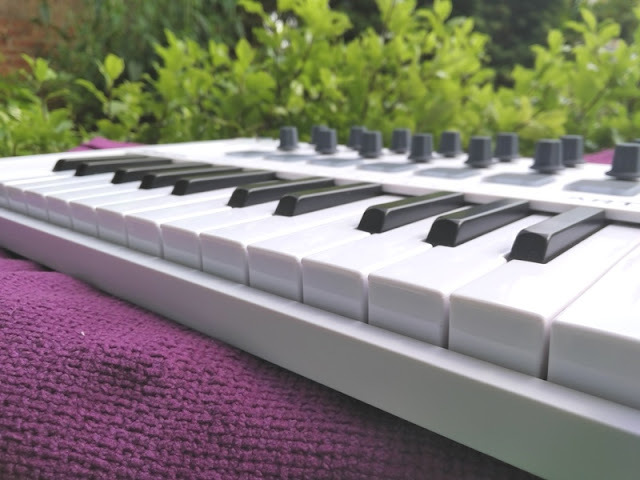 Arranging the preset sounds by instruments lets you see which preset the instrument's being taken from. 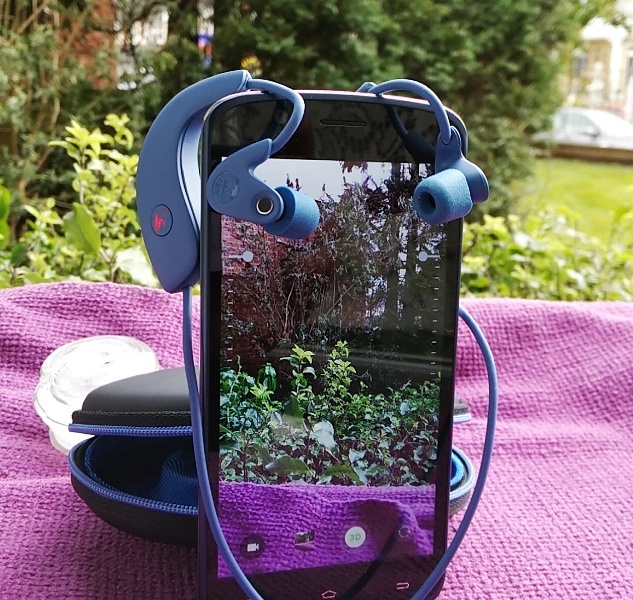 The screenshots above are of a "multi" sound (left) and a single sound (right). A multi sound is basically a combination of two preset sounds. 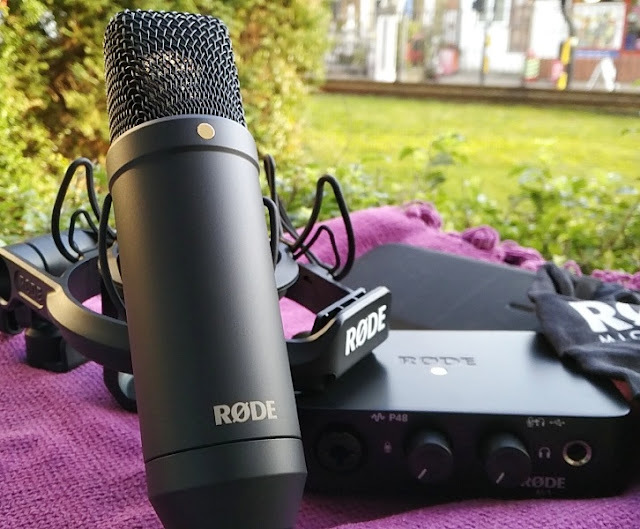 To create a multi-sound, simply click on the "twin circle" symbol that you see on the right screenshot above and drop any two sounds. 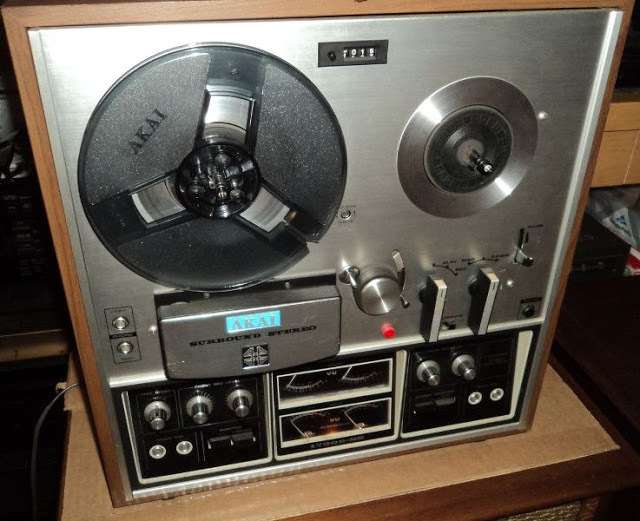 Then, click "save as" to save the multi-sound. 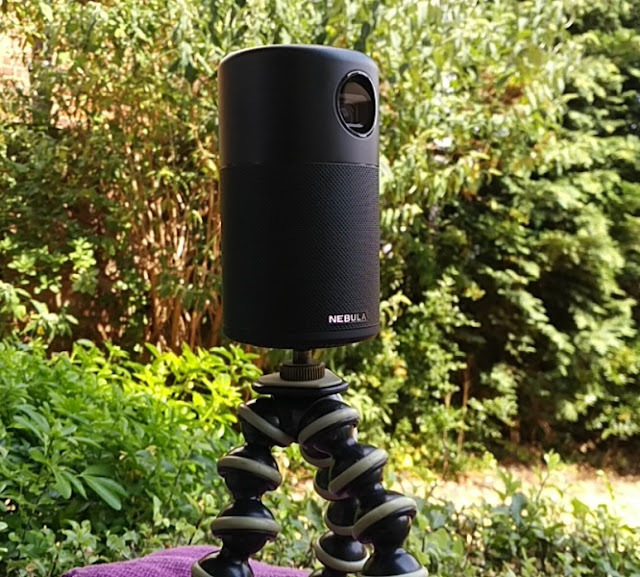 You can also add effects to both single and multi-sounds. 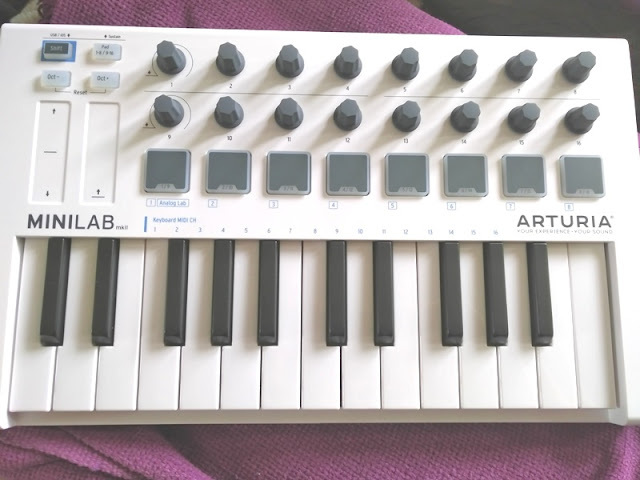 By the way, to get the knobs to recognize on Analog Lab 2, all you have to do is match midi channels on the VST to the midi channel on the options section in fl studio under the minilab.